SPACE.com invites experts in space exploration, science & technology to provide insightful commentary and informed perspective on news, current events, innovations, big ideas and ongoing research. Expert Voices includes Op-Ed analysis and opinion as well as interesting observations from the field and space exploration efforts around the world. 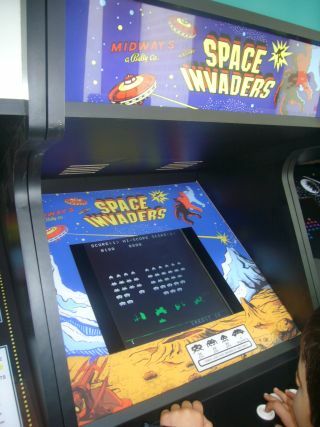 The "Space Invaders" arcade video game, celebrating its 40th anniversary, is an iconic piece of software, credited as one of the earliest digital shooting games. Where Does Trump's 'Space Force' Fit in the International Agreement on Peaceful Use of Space? Overnight US President Donald Trump announced the establishment of a "Space Force" as a separate force of the US military. On June 18, 1983, 35 years ago, Sally Ride became the first American woman to launch into space, riding the Space Shuttle STS-7 flight with four other crew members. The summer solstice marks the official start of summer. It brings the longest day and shortest night of the year for the 88 percent of Earth's people who live in the Northern Hemisphere. Albert Einstein's theory of general relativity is a monumental achievement of human ingenuity, creativity and perseverance — to say the least. Mysterious creatures called magnetic monopoles are predicted by our theories of the universe — so why has nobody seen them? Trump's NASA Chief Changed His Mind on Climate Change. He Is a Scientific Hero. Bridenstine has also backed up his rhetoric with vocal support for NASA's climate missions, which have been threatened under a Trump presidency. A new space era is dawning and will be upon us by the early 2020s. There are only a handful of astronauts, but every year thousands of high school and college students get to visit space vicariously, by launching their own satellites. Earlier this year, astronomers stumbled upon a fascinating finding: Thousands of black holes likely exist near the center of our galaxy. The lives we save from an app apply directly to the lifeblood of the space program. The two are inseparable, as they should be, because what happens in space leads to advances here on Earth. Deep in the sun's core, buried under hundreds of thousands of miles of twisting and convecting hydrogen and helium, a nuclear fire rages. When we look up at Mars in the night sky we see a red planet - largely due to its rusty surface. But what's on the inside? For most of us, seeing a dark sky means packing your bags and heading on an adventure. The rigors of astronaut training determine who has the "right stuff." What some may not know, however, is that every astronaut undergoes life support training. Small Stars are Awesome — But Can They Support Life? Exoplanets are showing up in some unexpected places.